The Global Hawk dropsonde system was developed by the National Center for Atmospheric Research (NCAR) with funding support from the Unmanned Aircraft Systems (UAS) program within NOAA. The system, also known as the Advanced Vertical Atmospheric Profiling System (AVAPS), takes advantage of NCAR's extensive experience in the development, operation, and analysis of aircraft dropsonde systems and their data. Integration onto the Global Hawk aircraft is done in collaboration with NASA. The system can carry up to 90 dropsondes for deployment at altitudes up to 65,000 ft from the unmanned Global Hawk aircraft. The dropsondes collect high vertical resolution measurements of the temperature, pressure, relative humidity, and wind speed and direction in the atmosphere. Coupled with the long 24+ hour endurance of the aircraft, the system provides a revolutionary capability for the monitoring of high-impact weather events. 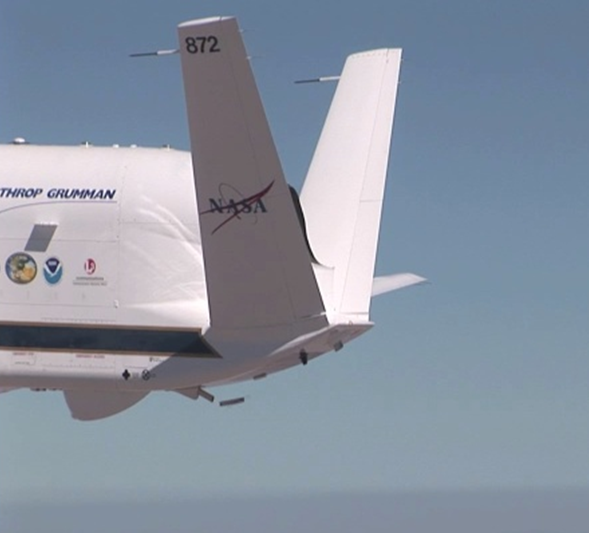 The Global Hawk dropsonde system was first deployed scientifically during the NOAA-led Winter Storms and Pacific Atmospheric Rivers (WISPAR) experiment in 2011 and then successfully deployed from 2012-2014 during the NASA Hurricane and Severe Storm Sentinel (HS3) experiment. Currently the system is being employed in the NOAA Sensing Hazards with Operational Unmanned Technology (SHOUT) experiment.